Geneticists disagree about the uses of genome sequencing, but Harvard’s George Church says the worries are misplaced. 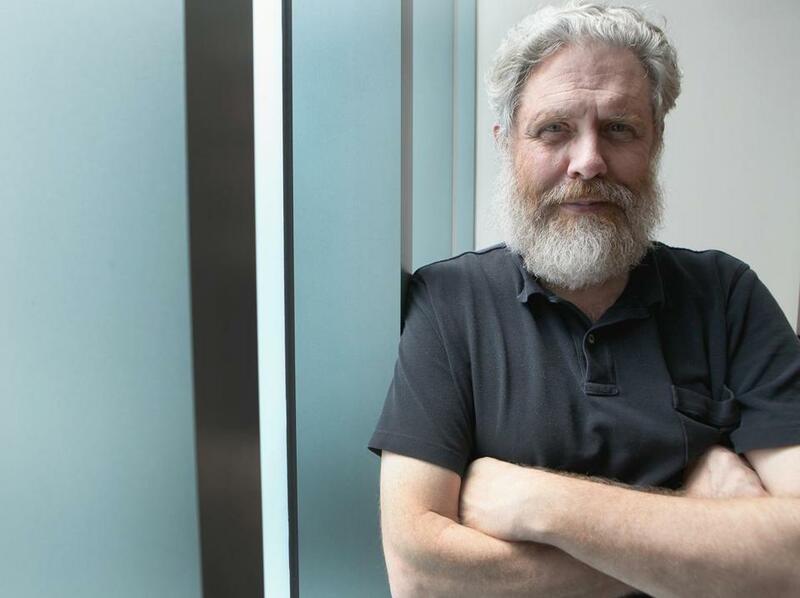 In early December, Harvard geneticist George Church addressed a crowd of about 150 life science professionals gathered at Google’s Cambridge office and asked how many of them had had their genomes sequenced. Not a single person raised a hand. Church appeared to have expected the negative response, even at an event where people paid $150 to hear about the future of personalized health care. What baffled him was why? Genome sequencing’s low adoption rate is “one of the greatest paradoxes of our time,” Church said. Ten years after completion of the Human Genome Project made it possible to paint a full genetic portrait of anyone in the world, sequencing remains far outside the mainstream. The process entails documenting each of the body’s 3.2 billion nucleotides — the building blocks of DNA — which are expected to appear in a certain pattern, just like the alphabet. Variations from the normal pattern of nucleotides can signal that a person is likely to develop a certain disease later in life, or is a carrier who could pass a health problem on to a child. But the tests remain expensive and are not usually covered by health insurance. Do the test results influence not only health care but other insurance coverage? Many people still don’t even know about the testing, while others are afraid of what they may learn. If a test could predict the onset of a terminal illness for which there is no cure, would you want to know? Even geneticists and the larger medical community disagree about the appropriate uses of genome sequencing. More limited testing, in which specific genes are analyzed to screen for particular disorders, has experienced wider adoption. Expectant mothers frequently undergo amniocenteses to check fetal cells for chromosomal defects that cause Down syndrome, for instance. Cancer patients can have their tumors decoded to help determine which drugs would most effectively kill malignant cells, based on their genetic composition. Yet few people go through complete genome sequencing, which typically costs $5,000 to $10,000. The promise of sequencing, researchers have said for years, is the ability to predict and prevent disorders. In the current state of medical science, however, the results of a genome sequencing are so often inconclusive that even some geneticists believe it is not worth the expense. The meaning of a mutation may be unknown, or the odds of developing a disease could be higher than average yet still remote — say, 2 percent instead of 1 percent. What then? In other cases, the diagnosis may be certain but the treatment options nonexistant. Dr. Robert C. Green, director of the Genomes2People Research Program at Brigham and Women’s Hospital, agreed that sequencing holds little value for most people at this time. But he and a researcher at Boston Children’s Hospital are planning to launch a first-of-its kind study next year in which half the infants in a pool of 480 will have their genomes sequenced shortly after birth. The other half, a control group, will receive only standard, state-mandated health screenings for newborns. The five-year study — it will be funded by a $6 million grant from the National Institutes of Health, pending approval by a hospital review board — aims to measure how genetic mapping might influence treatments and outcomes from the beginning of people’s lives. Sequencing results will become part of the babies’ health records, and doctors and parents will be able to use the information when making decisions about their care. For example, Green said, some antibiotics can cause deafness in children with certain genetic variations. Doctors treating infants in the experimental group, who have had their genomes sequenced, would know whether it is safe to prescribe the drugs. But clear cases like that are rare. The field of genetics is littered with what researchers term “variations of unknown significance” — abnormalities in a person’s genetic code that may or may not indicate a problem. The challenge of interpreting genetic data was at the heart of a November Food and Drug Administration order that forced a San Diego company called 23andMe to stop marketing its analysis of a $99 saliva test that is said to screen for about 250 diseases. Both Church and Eisen are advisers to the company, whose test is not a full sequencing but rather what Eisen calls a “Reader’s Digest version” that hones in on places in the human genome where variations most often occur. The FDA is unconvinced that 23andMe can accurately tell patients they are genetically predisposed to particular illnesses, or that they will respond to one medication better than another. The company has vowed to gain FDA approval by proving its claims; in the meantime, the test is still available for people to learn about their ancestries. Green noted that the relative newness of genetic testing makes it difficult for any company or researcher to interpret a mutation with total confidence. The pool of data is still shallow because so few people have been sequenced, and it will take time for theories about the significance of genetic markers to be proven. Even when the meaning of a mutation is widely agreed upon, decisions about treatment are often difficult. In one highly public example, actress Angelina Jolie wrote in The New York Times in May about her choice to undergo a preventative double mastectomy after a genetic test revealed she had an 87 percent chance of developing breast cancer. What odds are high enough to justify such an aggressive course of action? It’s a question some patients would prefer not to confront. “Genome analysis invites information that one might not want to know,” said Aubrey Milunsky, codirector of the Center for Human Genetics in Cambridge, a nonprofit that performs a wide range of tests — including the type of breast cancer screening received by Jolie — but does not offer full genome sequencing. Sometimes a painful revelation doesn’t come with the option to be proactive, Milunsky noted. “In other words, there’s not a thing you can do about it,” he said. Church and others are doing their best to reduce such occasions with advances in gene therapy. In November, he helped found a Cambridge startup called Editas Medicine, which is developing a technique for repairing faulty DNA. The company has not said which disorders it will target first, but altering bad genes could lead to new treatments for health problems that leave few options today, like Huntington’s disease and sickle cell anemia. With the price of genome sequencing falling rapidly, and new treatment capabilities on the horizon, there are fewer reasons for people not to map every strand of DNA in their bodies, Church argued.